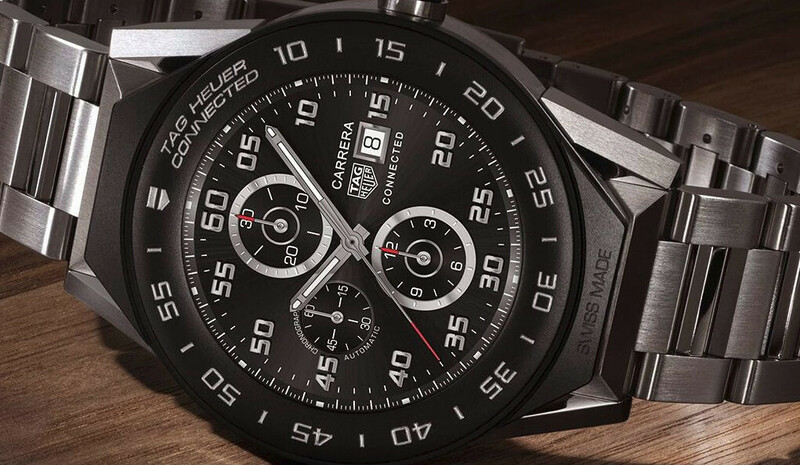 Luxury watchmaker TAG Heuer has just announced a “cheaper” version of its popular Connected Modular 45 smartwatch, the Connected Modular 41. The new smartwatch is not just slightly cheaper, but it's also smaller than the previous model. The Connected Modular 41 will be available for purchase for $1,200, which makes it $350 cheaper than the Connected Modular 45. As the name suggests, the newly unveiled smartwatch measures 41mm in diameter and comes in seven basic versions. 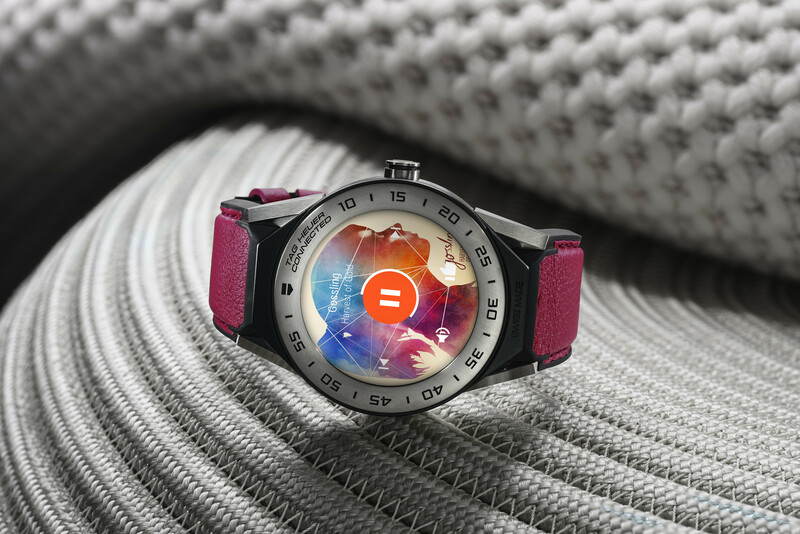 Customers will be able to pair the luxury smartwatch with either of the nine different straps that will be available for purchase separately, including three new strap colors such as pink, blue and white. TAG Heuer Connected Modular 41 has been developed in collaboration with Intel and Google, so it comes with Android Wear on board. Specs-wise, the smartwatch sports an AMOLED 390 x 390 pixels display with 326 ppi and better brightness (max. 350 nits). Also, the Connected Modular 41 packs 8GB storage, 1GB RAM and, probably, a Snapdragon Wear 2100 processor. It's water resistant to 50 meters and has GPS and NFC (Near Field Communication) support for contactless payment via Android Pay. Just like the previous model, the Connected Modular 41 allows users to replace the connected module with a Calibre 5 three-hand mechanical module, which turns it into a more appealing mechanical watch. Why would TAG goes for Snapdragon Wear 2100 ? They're making it with Intel collaboration! It is not. It's. The same Intel processor from the previous model paired with double the RAM. The article is wrong. Please correct. I have a first generation TAG Heuer Connected with Intel processor and a Huawei Watch 2 with Snapdragon 2100 and I can tell for sure that the Connected is the faster and smoother watch.